Lupulin Brewing Nominated in 7 Categories for The Growler’s Readers’ Choice Awards! 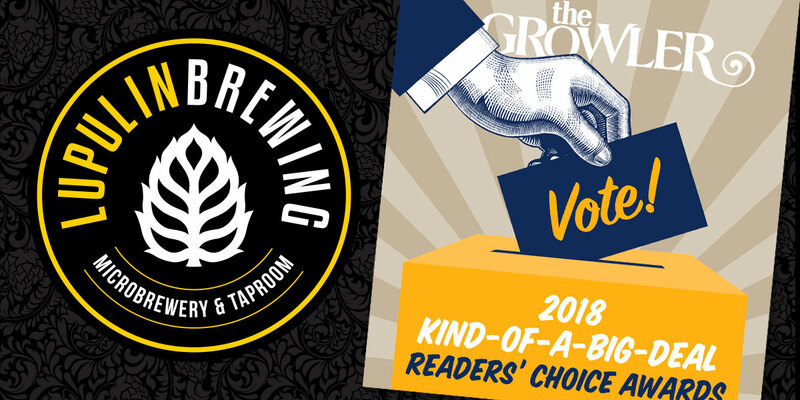 The Growler’s Kind-of-a-Big-Deal Readers’ Choice Awards are back! This August, we collected nominations from you, our readers, and tallied the results. Now, with the final list of nominees set, we need you to cast your vote to decide the best of the best in Minnesota’s drink, food, and culture scenes. The voting period ends on October 31 at 11:59pm and winners will be announced in the December issue. Note: Voting is restricted to one ballot per valid email address.